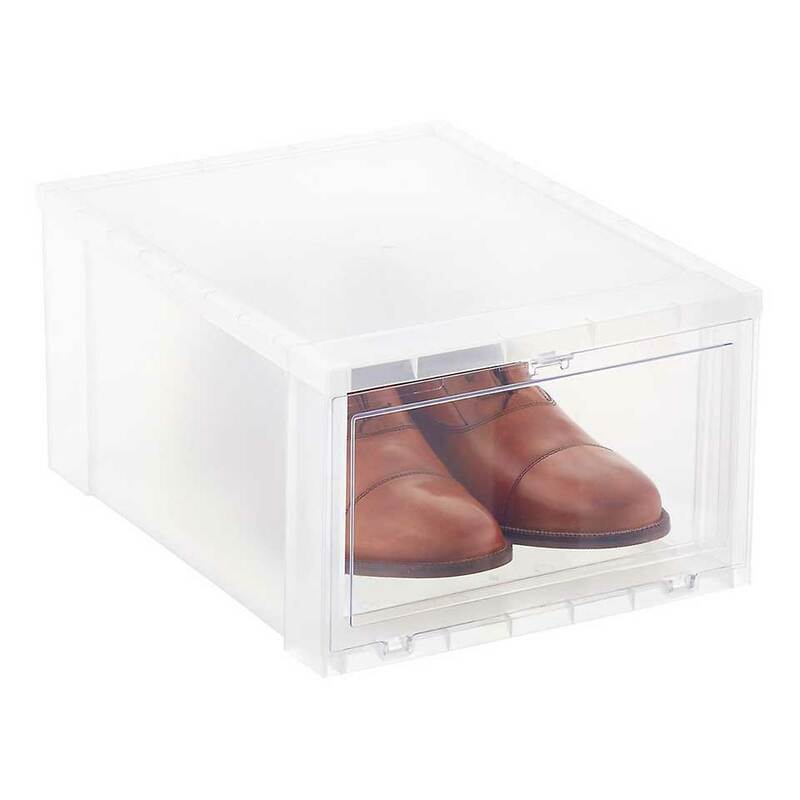 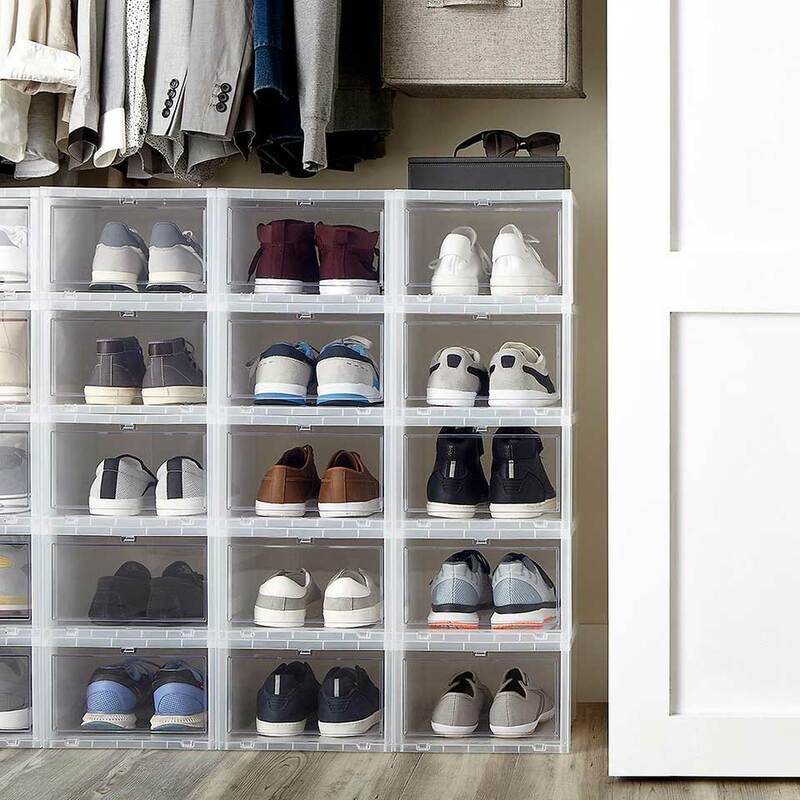 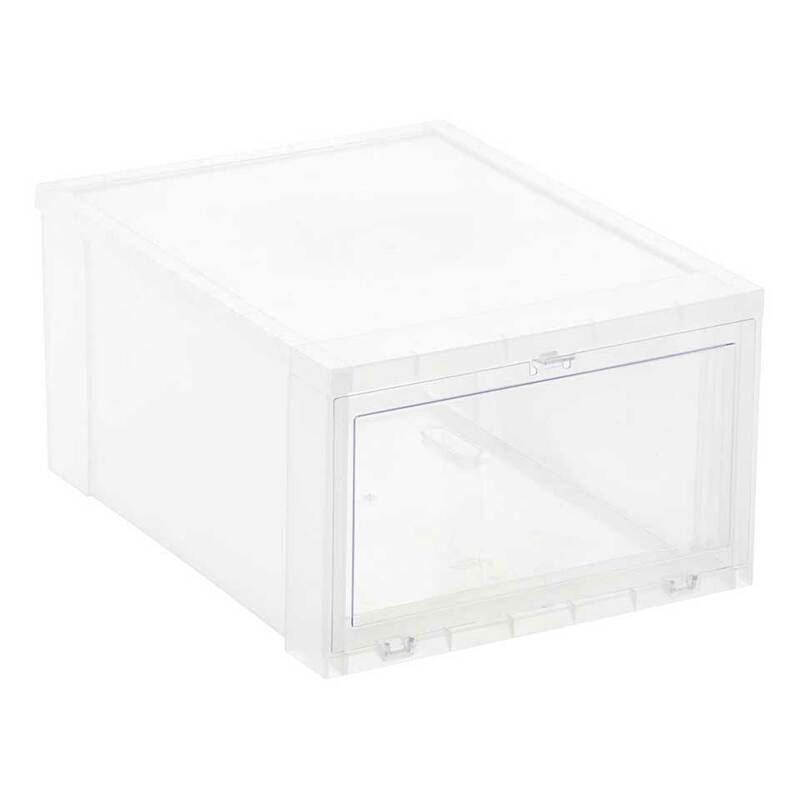 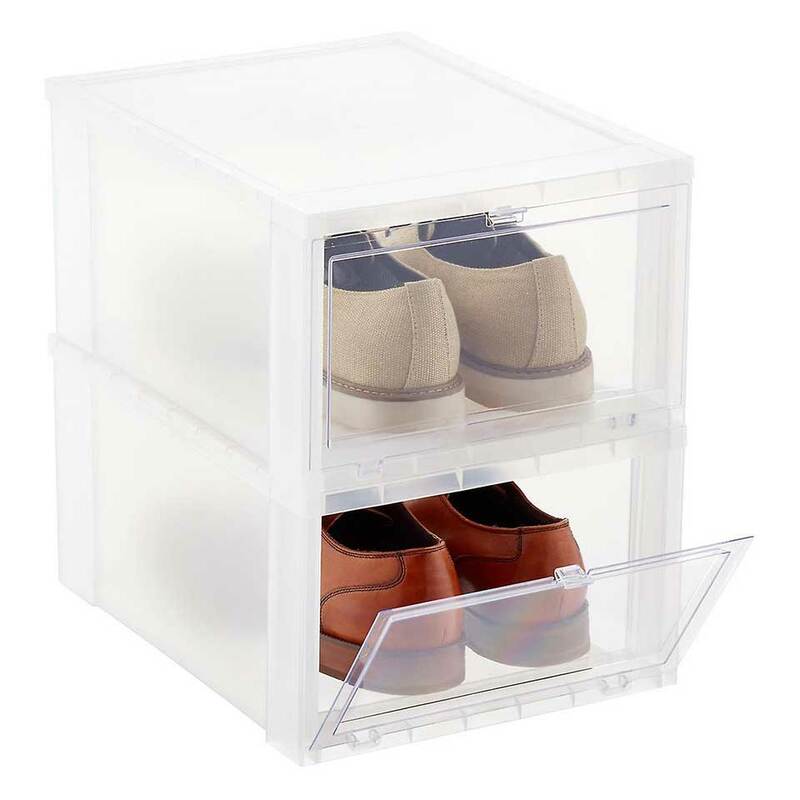 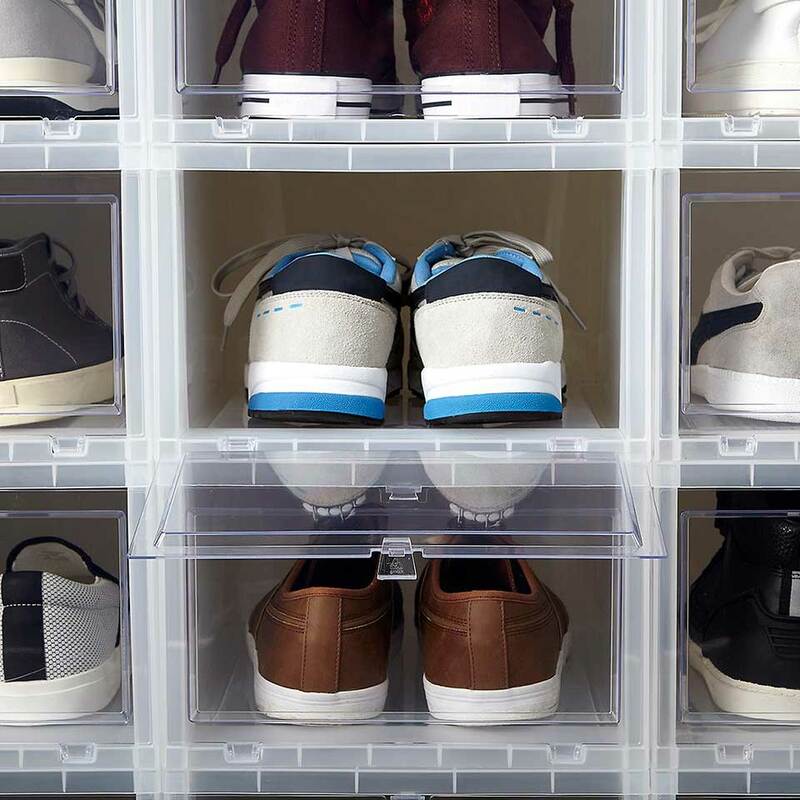 The Container Store’s Drop-Front Shoe Box is a transparent and stackable container for storing shoes. 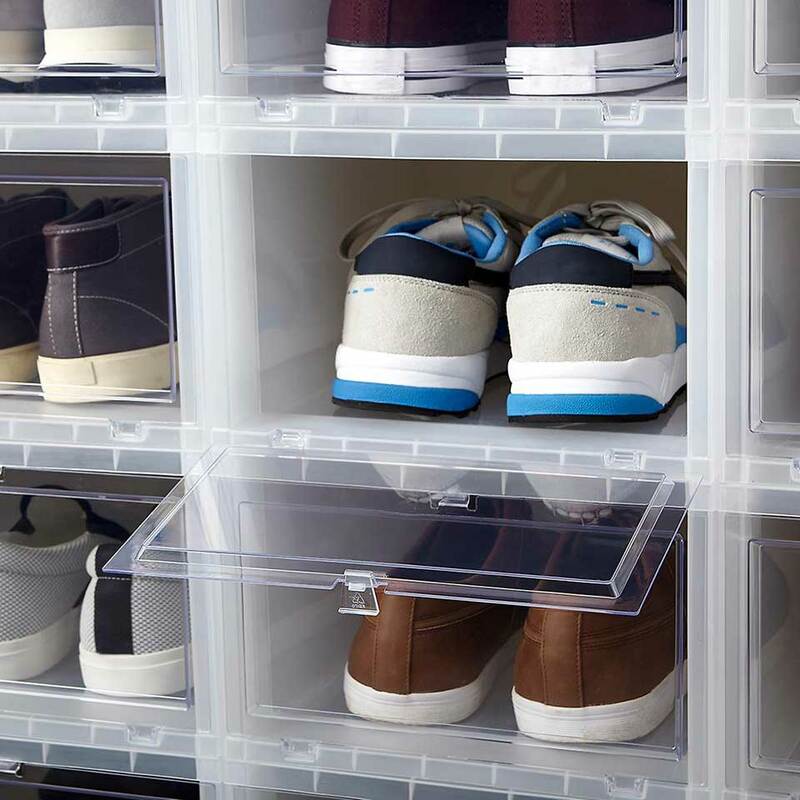 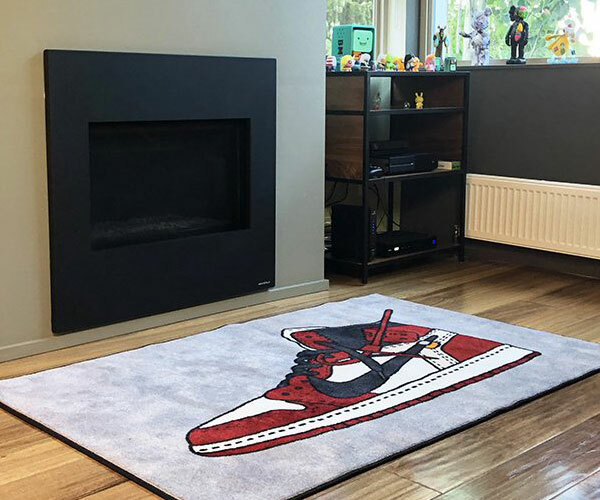 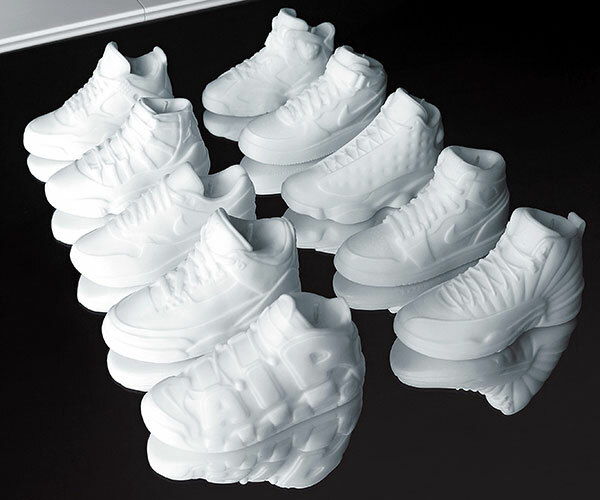 Since it opens up at the front, you don’t need to disassemble a stack of it to put in or take out shoes. 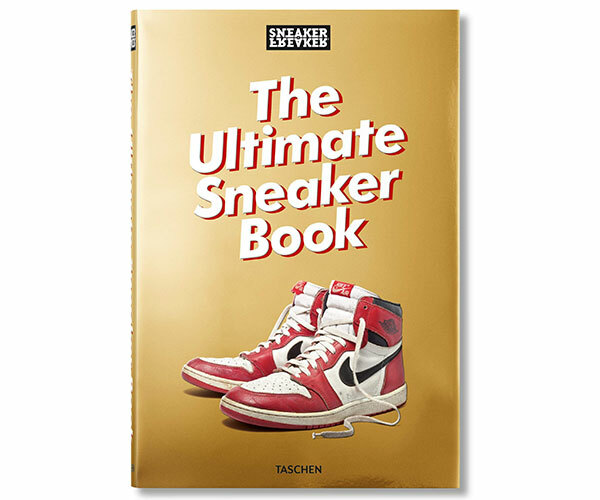 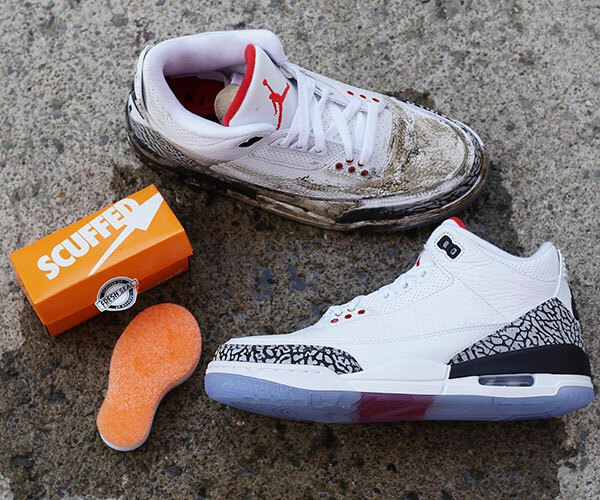 It holds up to a men’s size 13.